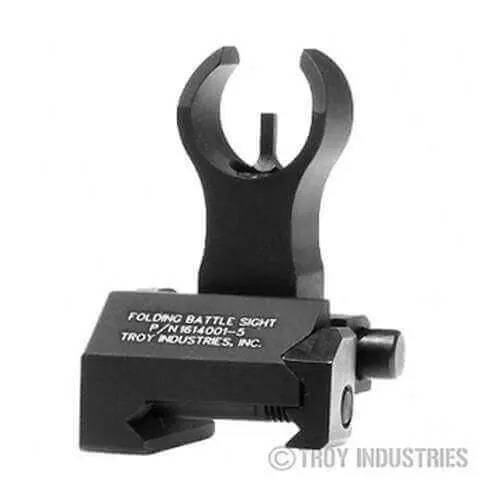 Durability and dead-on accuracy have made Troy Industries HK Style Folding BattleSights the hands-down choice of Special Ops and tactical users worldwide. Worth every penny. I love how well the sight fits into the rear sight window. Definitely recommend. Great quality and ease of use. Prompt shipping and customer service...will order again! I am 64 yrs old and this is the best customer service I have EVER experienced any where and I am picky. It was entirely my mistake and they said "oh,it happens sometimes" and sent me a prepaid shipping label. One day after they received the sight I had a complete refund in my bank account. I wish these people ran a training course on costomer service at all the big box stores. When the need arises I will be shopping at AT3 Tactical again.